So as I’m writing this it’s only October 12th, however we all know that as soon as Thanksgiving arrives we’re all going to go nuts while we start stashing away gifts and fighting in lines over whatever gift we need to get people. Your mental health is more important than that, and if you’re like me and the idea of long lines and crowds of people inspires a small panic attack, do what I do. Buy your simple cheaper gifts a little bit at a time starting now and save the big ticket items for Black Friday or Cyber Monday when those savings are going to really count. Here’s some really great gifts to buy now to fill stockings with or have available for White Elephant or Secret Santa games. 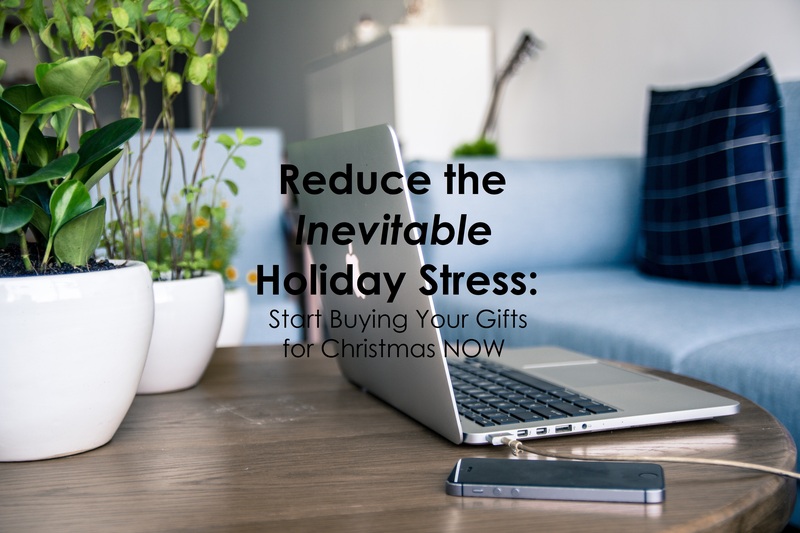 Whatever it is YOU can do to reduce your stress this holiday season WILL make the Holidays more enjoyable. As soon as Christmas and Thanksgiving rolls around you can worry less about gifts and practice being mindful and present for those special moments with your loved ones and friends. Premium High End Makeup Brush Set For Cosmetic Make Up with Leather Brush Case Holder- Eyeshadow Foundation Fan Brush Brochas De Maquillaje Professional for LESS THAN $20 Click here to learn more about them. This soft makeup brush set is 100% animal cruelty free, made from REAL Walnut, and go gloriously with ANY makeup set. Every brush you’d ever need to create the effect you want is included. Dark brown color from the walnut handle resonates a classy look to the brush. The bristles are made of a synthetic material that is 100% animal cruelty free. Synthetic brushes are designed to maximize liquid or cream application, such as concealer and foundation which is important to daily makeup use. Zoreya even offers a 100% Money Back Guarantee which is a perfect sign that there won’t be anything wrong with this product. You can purchase this item for less than $20 with a clear conscience. If you know someone who is a fan of classical art, for less than $20 you can get this reproduction of a clock based on an escapement sketched by Leonardo da Vinci! There’s a huge slew of art and history buffs that would be inlove with this intricate and unique tool originally designed by the brilliant mind of Leonardo Da Vinci. There is a pendulum that hangs off of this contraption that acts as the power source. This is just a really cool gift! Click here to find out more about it, how it works, and what inspired its creation. This stainless steel essential oil diffuser bracelet is a perfect gift for someone who would benefit from being able to transport the peaceful effect of aromatherapy everywhere they travel right on their wrist. It comes with 8 different color pads so you don’t have to worry about mixing scents or the bracelet not matching a particular outfit. The magnetic diffuser bracelet holds these aromatherapeutic pads within a locket style face. It looks fantastic with a variety of outfits, other jewlery, and the pads can easily be washed and reused for other scents. Click here to learn more about this gorgeous piece. This set of two stainless steel wine glasses are dishwasher safe, don’t break if dropped, is tipsy-resistant, and will keep your wine at a controlled temperature longer than a glass wine glass, which is heavily affected by the temperature of its environment. In my opinion wine tastes slightly better out of a stainless steel cup… of course, I’ll take crystal over anything, but I honestly think I like these better than the ordinary kitchen glass. Whoever you give these Stainless Steel Wine Glasses to will find them to be extremely handy, especially when they’ve had one glass too many. Haha! All-natural wooden desk organizer For Smartphone, Tablet, Watch, Wallet, Shades or eye glasses, Keys, Coins and more for Him, Her, and really anyone that appreciates rustic interior décor accessories, with Built-in Mirror and Card Holder for less than $40! If you know someone who would benefit from a classy wooden docking station that keeps everything from glasses, watches, coffee mugs, phones, pens, cards, and other miscelaneous items ORGANIZED… you have to get them this ultimate wooden docking station. It’s sleek, should match a large variety of decor’s, and perfect for a home office, work office, top of a dresser, or anywhere you’re loved one will benefit from this sleek organizer. It feels very luxurious in the hands because of the protective teka oil in the surface of the birch wood. Whoever gets this organizer will find it useful, rustic-chic, and convenient. Click here to find out more about this beautiful organizer/docking station.